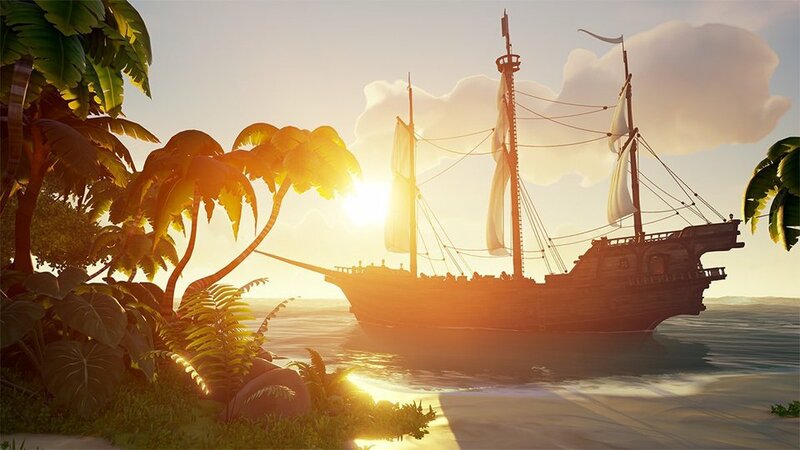 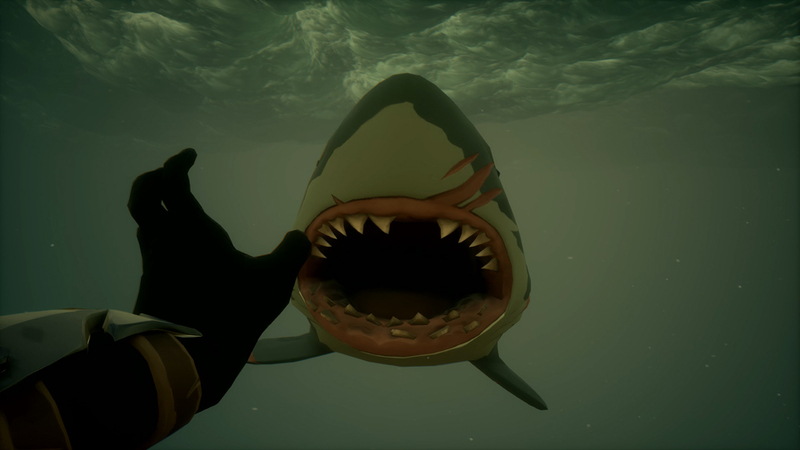 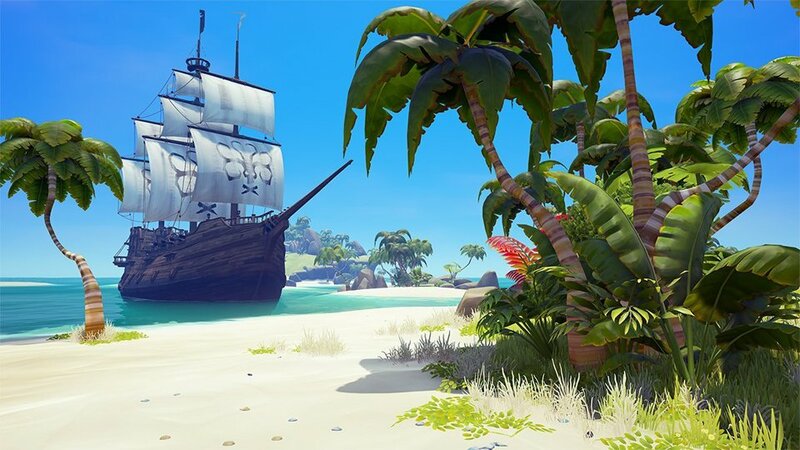 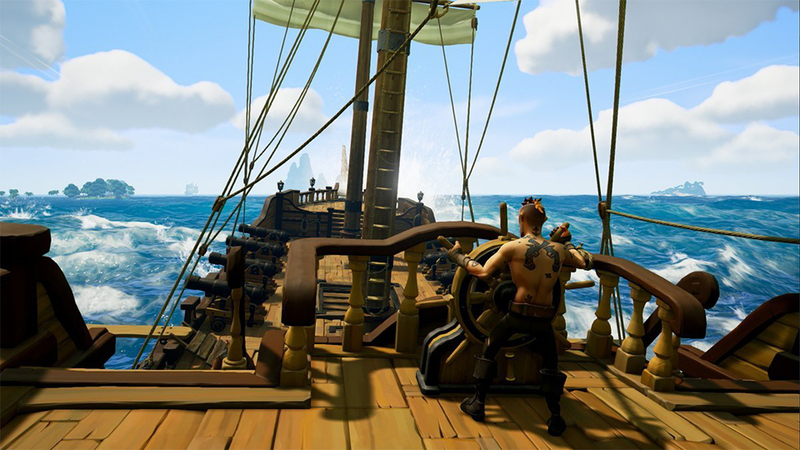 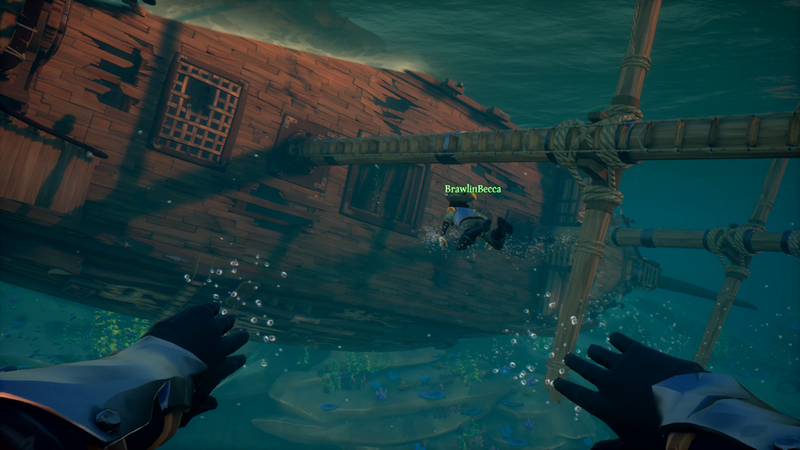 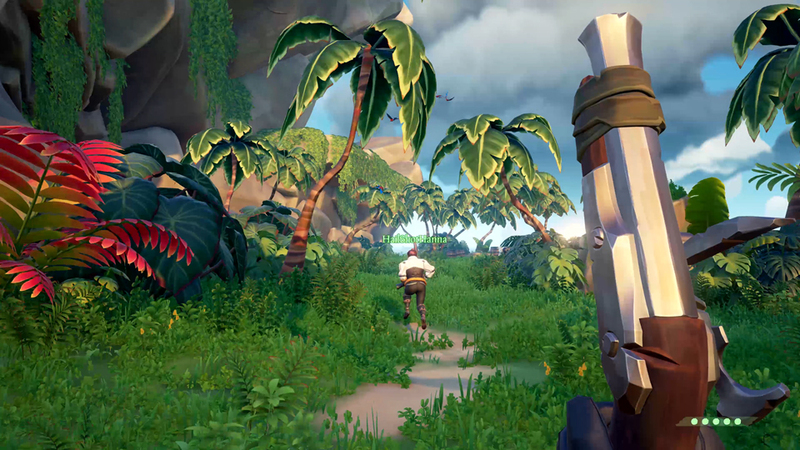 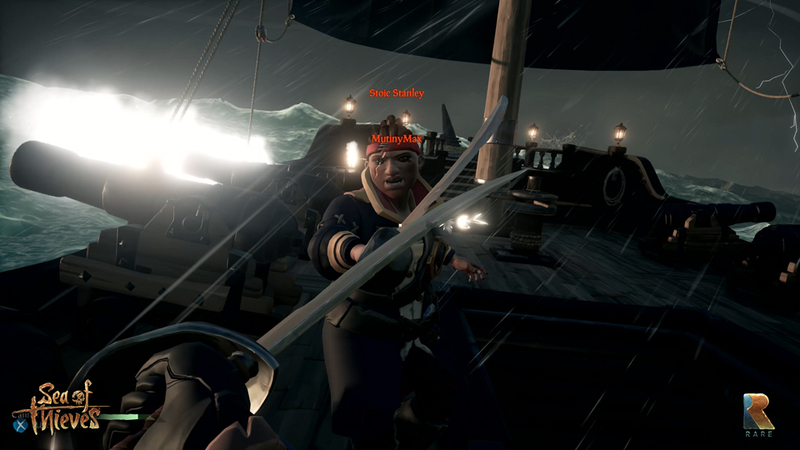 Sea of Thieves is a lighthearted first-person multiplayer pirate adventure game. 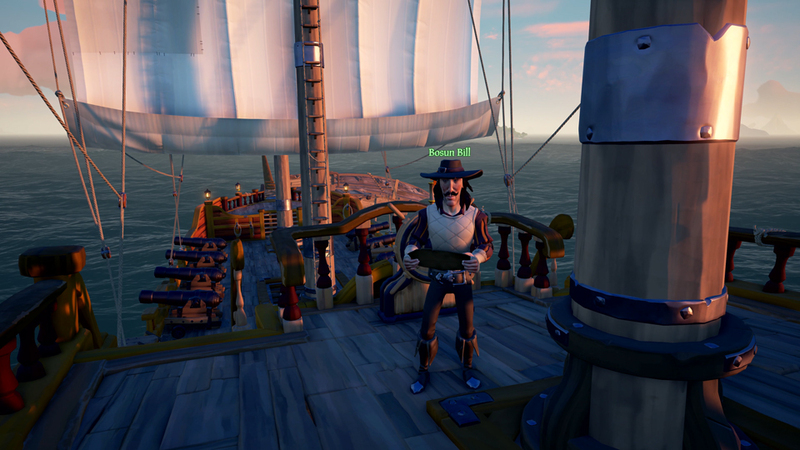 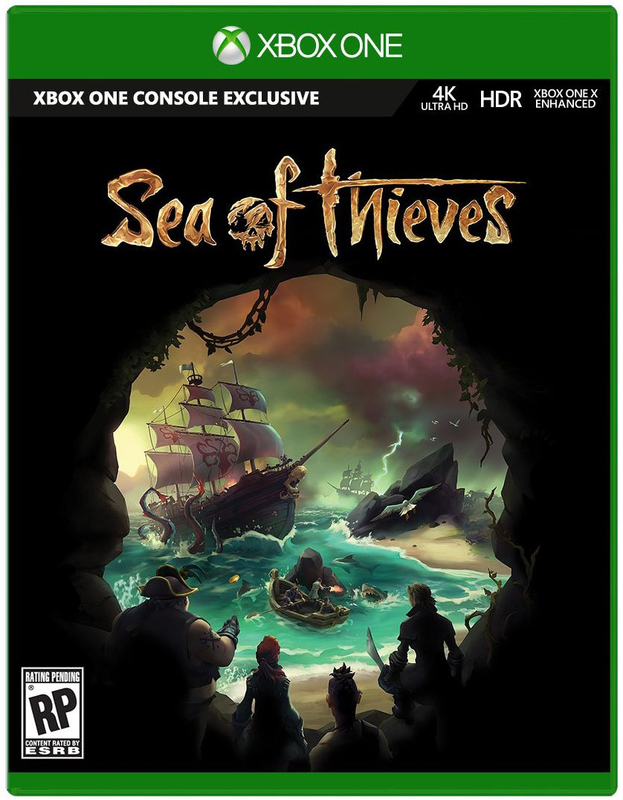 Form a crew with up to three other players and take on quests, meet or battle other crews, or just drink grog and play the hurdy gurdy while you sail the seas. 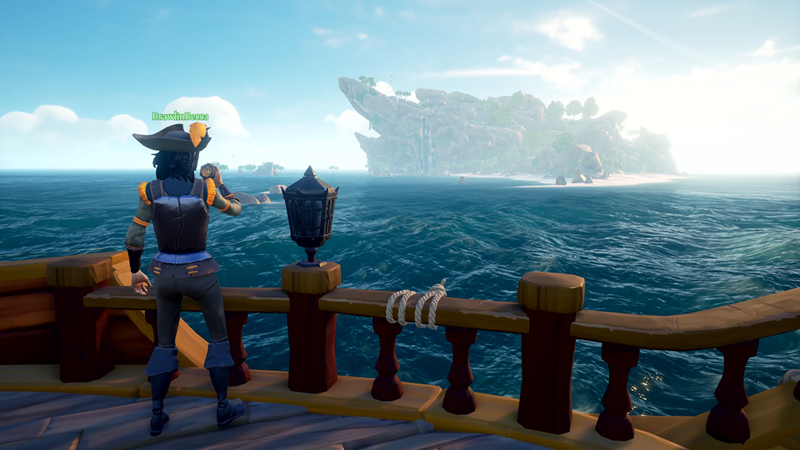 Drops 2018 for Xbox One and Windows.